I was raised on home cooked meals, good churches, tree climbing and old western movies. In my high school years, while other girls hung pictures of their favourite, hunky singer on their walls, my room boasted a large picture of John Wayne, my favourite cowboy. Who doesn’t love a tough and rugged champion? 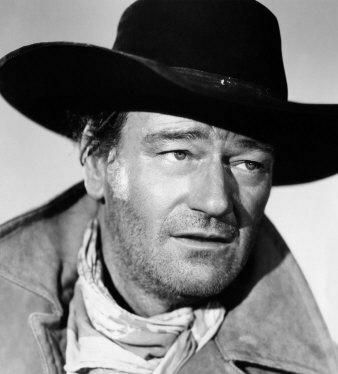 In one movie, when a bad guy says to the aging gunslinger, “I thought you were dead!” With his trademark gruff, John Wayne scoffs, “Not hardly.” Second only to my darling dad, this was my mighty man of choice. Humanity seems drawn to might. We love super hero stories. We revere powerful athletes. We honour heads of state. We respect corner-office dwellers. But… did you know that a mightier breed exists? People better than valiant warriors and unconquerable cowboys? And those would be…. People who are slow to get angry. I know. I know. It sounds so unspectacular, it is hard to take seriously. But that is the biblical truth. It is people who are in control of their emotions that the Bible tells us are mightier than warriors. It also follows then, that if these folks are mighty, people quick to anger are not. My life experience compels me to agree. When I look back on the moments where I have surrendered to my anger, I have never felt more out of control in my life. We are powerless. Swept along in a crashing river of toxic venom that wilts everything in its path. And once those floodgates have opened, we can’t seem to swim out of the black torrent because the current is so strong and the sinful release is dangerously intoxicating. One wilting splash follows another, and another and another, till it finally runs its course and all we can do is look back and survey the destruction. We are not in control. We abdicate our emotional autonomy and turn ourselves into puppets, allowing another person’s sin or any difficult situation to pull our strings. When we are quick to anger, we live our lives at the mercy of anyone who offends us and anything that happens around us. We are weak. Oh, we might intimidate our children while they are small, but the day will come when they will recognize our anger for what it is. They will no longer regard us as powerful – they will pity us as pathetic. Can we continue to rationalize our anger as power or authority we are justified to wield? If you are like many women I know who have dared to be honest, this verse pricks hard at your conscience and the wounding and wilting your anger has inflicted grieves your spirit. But you are most certainly not alone. Anger is a consuming sin that has plagued human history. From the first murder committed in what was only the second generation of humanity, God has warned us of its dangers through historical narratives, wisdom literature, and New Testament lists of nasty things that wreak havoc on our hearts and relationships. Change is needed friend. And by God’s grace there is hope. 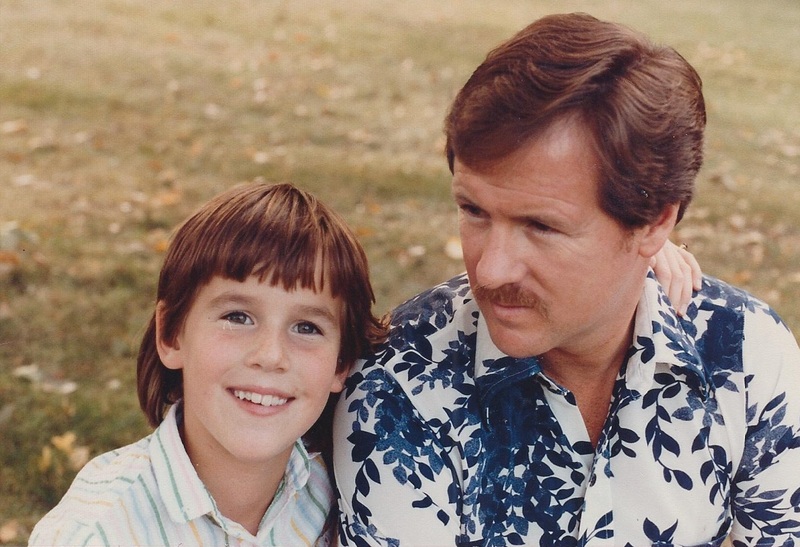 I remember clearly being introduced to that hope as a 9 year old girl in Iowa. As I stared in horror at the porcelain towel rack that had been ripped out of the wall and now lay shattered on the bathroom floor because of my anger, my father showed me that, like him before me, we angry people can find hope and help only in the transforming work of Jesus Christ. With my dad, Eric in my tree-climbing domain. I love our verse for today, not because it specifically describes our hope, but because it gives us eyes to see anger for what it really is. And if we will choose to be wise, that gift of clarity should motivate us to run daily toward our only hope. If we want to be mighty women who can influence our families, friends & communities for all that is good and eternal, we must undertake the greatest conquest of all – the conquest of our own spirit. Shall we saddle up girls? 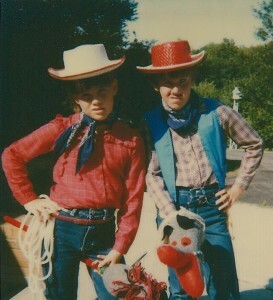 That’s me on the right as John Wayne and little sister Leslie as Kate Quantrell.